Peter C. Campanella, M.D. is originally from Long Island, New York. He received his Bachelor of Science Degree from the Pennsylvania State University with Highest Distinction Honors. He received his Doctor of Medicine Degree from the Jefferson Medical College of the Thomas Jefferson University, in a combined six-year pre-medical / medical degree program with Penn State. Following a combined medical/surgical internship at the Albert Einstein Medical Center in Philadelphia, he completed his Ophthalmology residency at the Penn State Hershey Medical Center, where he served as Chief Resident. 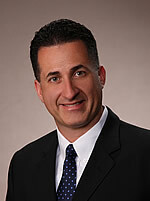 Dr. Campanella is one of the most experienced ocular surgeons in Pennsylvania. He was one of the first in the area to perform no-stitch, no-needle injection cataract surgery with Lifestyle enhancing ocular implants including ReSTOR®, AcrySof® IQ Toric, Crystalens & Trulign™ implant option. Dr. Campanella has partnered with the Kremer Laser Center in King of Prussia, as well as local surgeons, to provide his patients with the latest in Laser vision correction with the most experienced surgeons in the tri-state area. Dr. Campanella chooses the most experienced surgeons for his patient’s refractive surgery experience. He then performs the follow-up for his patients, giving them the best and safest surgical experience, as well as the convenience of local post-operative care. Click here to schedule your refractive surgery consultation today. Dr. Campanella resides in Cumru township with his family and enjoys exercise, golf, travel, and horology.